1) Could you please tell our audience briefly about you? Ivan : I was born in 1982. From 1999 till 2004 I studied at an aerospace department of Peter the Great Military Academy for strategic missile forces. In 2004 I entered the International Institute of Economics and Law where I studied on the faculty of law. In 2013 I received my master degree in the National Research University “Higher School of Economics”, in 2015 I graduated from Lomonosov Moscow State University (MSU). Since 2004 I worked in the construction and design area. At first I worked as a developer and engineer but later on I succeed as an owner of a large construction and design company. In October, 2016 I founded Boosteroid project. 2) What is the Meaning of Boosteroid? Ivan : Boosteroid is a cloud services platform that provides convenient access to computing power, storages and software products. 3) What makes Boosteroid Crypto ICO different from the others? 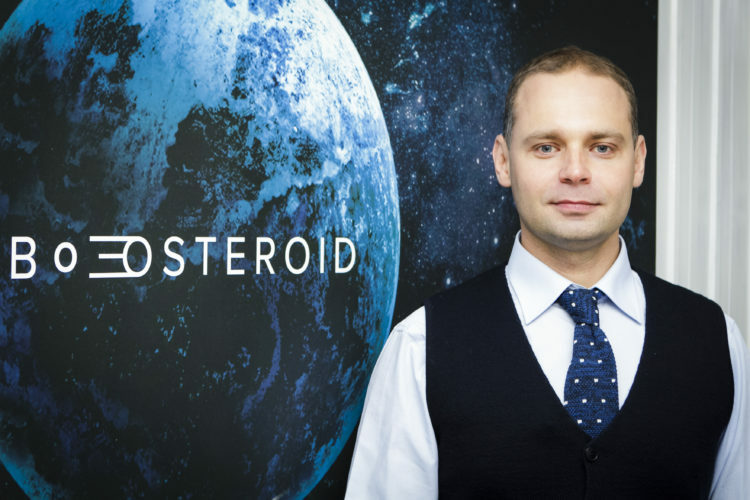 Ivan : The major advantage of Boosteroid is that, unlike many other services, the platform is already being developed. Before ICO we launched computing facilities with the peak power of 0.5 petaflops and we will expand them regardless of the ICO results. Moreover, our token corresponds to a real service – 1 BTR = 1 hour rent of computing power*. (*1 BTR = the cost of one hour computing power rent on the basis of eight NVIDIA GeForce GTX 1080 Ti graphic cards; two Intel Xeon E5 2680v4 processors; RAM 256Gb; SSD 960Gb.). All undigested and undistributed tokens, as well as those accepted as a payment will expire. 4) How much do you intend to raise in the BTR Token Sale and can BTR Token Holders Profit from Boosteroid if they invest now? Ivan : We plan to raise up to $100 million. Our project has large investors that are ready to support the creation of our service so we do not need spare money. Investors will be able to rent computing power with BTR tokens on more favorable terms or trade them at cryptocurrency exchanges for other digital currencies or fiat money and gain profit (today the lowest 1 hour cloud computing power rent is $6 – $ 10,5). 5) What are the steps for investing in BTR Token, would you like to share the exchanges where BTR Token will be traded? Ivan : It is very easy to buy BTR tokens. Everybody can do that at our final ICO stage that takes place from January 15th till February 15th, 2018. You have to sign up in your personal account on our website, choose the needed number of tokens and make a payment. It is possible to buy tokens with ETH, BTC, LTC, BCH. 1 BTR costs $1,88. Currently we already have a draft agreement with Bittrex and we also negotiate with other major exchanges. Before the end of our ICO we will announce the list of exchanges where our token will be available. 6) Can Boosteroid be seen as the game changer in the cloud computing market? Ivan : We are sure that Boosteroid will compete with such cloud giants as Amazon Web Services, Microsoft Azure and Google Cloud pretty soon. Currently it is rather difficult to rent computing power provided by market leaders. It is necessary to learn many instructions and watch a number of video guides. Besides these services are as “easy-to-use” as for example MS-DOS. We decided to reach the iPad-level and make it clear even for a child. 7) What were some of the biggest challenges you encountered while working to launch your ICO? 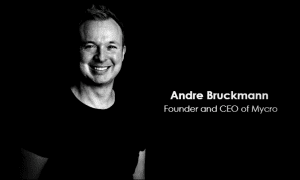 Ivan : The biggest challenge was that there were hundreds of ICO projects on the market together with us. We had two objectives: share the information about our project worldwide and make it attractive to investors. So we had to offer better services than our competitors and prove that the project has great prospects. 8) Where do you see BTR Token after ICO and in the next 5 years? Ivan : As I mentioned before, after the ICO investors can trade their tokens at exchanges and gain profit. According to our business plan, all BTR tokens will completely disappear from the market in two years. During this period investors will make money with our tokens and we will expand our computing facilities. 9) Could you tell us a little about your marketing and sales strategies, your team and customer support? Ivan : According to our marketing strategy we will create a service that people will recommend each other. We were only a few enthusiasts when we started. Now our team includes more than 50 people and all of them are real professionals. We have several departments that are in charge of different aspects of the project. Blockchain engineers and AI-developers, designers, lawyers experienced in corporate, international and IT-law, marketing specialists – we all work together to create our service. Ivan : A british company BCD-Group owns Boosteroid project. In August, 2017 we introduced standard of information security management ISO 17799:2005 (ISO 27002:2005).